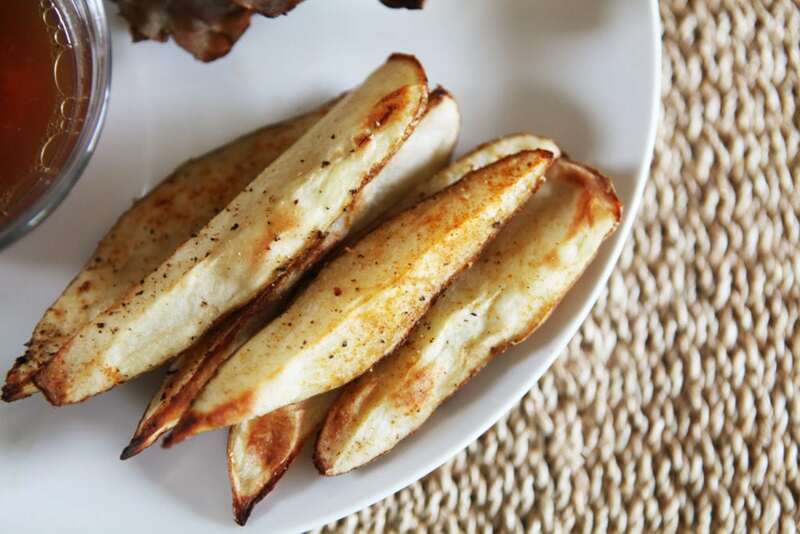 Do you need an easy but tasty recipe for potato wedge fries? I did. It took me forever to really find a spice combination I loved for my side of baked potato wedges. Essentially, if you don’t have these seasoned right they’re just potatoes, right? You probably have all the spices you need to make this blend in your kitchen right now. It’s simple and delicious and will plus up your baked potato wedges. As an added bonus, adults and kids of all ages will find this spice blend pleasing to their palates. It doesn’t go overboard on anything but allows you to have perfectly seasoned baked potato wedges. These are great year-round so whether it’s fall, winter, spring or even summer these are the perfect side to go with burgers, chicken or even a great piece of salmon. Also, if you want you can make these on the grill in the summer time. We like to cube potatoes, add this same seasoning mix and grill them outside with some chopped onion and celery. Check out the recipe below and let me know your favorite way to eat your potatoes. Cut potatoes into stripes no more than ½ – inch thick. Line a cookie sheet with foil pepper and brush a very light layer of olive oil onto it. Lay your potato wedges out on a foil lined cookie sheet and brush with the rest of the olive oil. 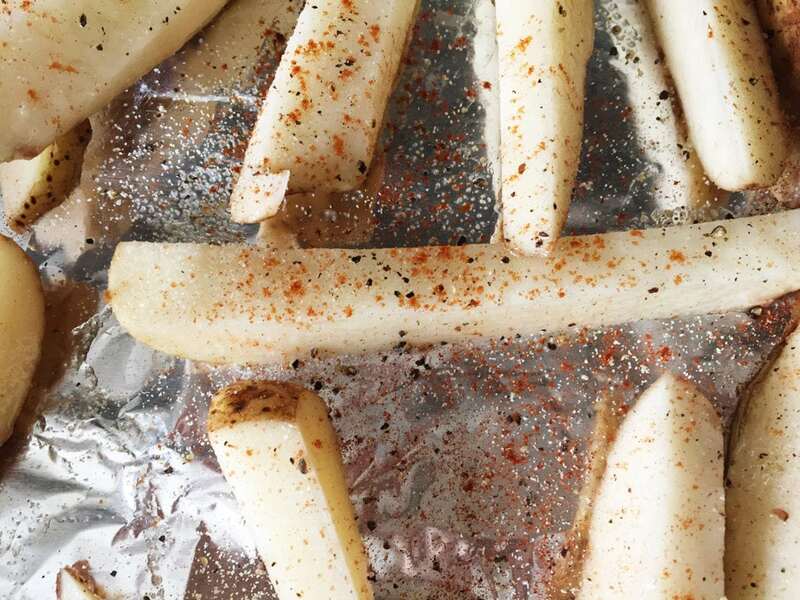 Using your fingers, sprinkle garlic powder, paprika, pepper and onion salt onto your wedges. It is easiest to use your fingers, so you can cover the whole potato wedge easily and don’t end up with too many spices on any one wedge. Bake in the oven at 410 degrees for 15 minutes. Oven times vary so check them after 15 minutes and if they are not golden, stick them back in for another five minutes. Serve and enjoy! Add some ketchup if you like, but these are so tasty that I doubt you will need it. I’ve never thought to add paprika! I’ll try that next time. These look SO good! Yes!! I love potato wedges. They are delicious and pretty easy to make. I love the combination of spices that you used. These sound amazing! I have never made my own fries or wedges, and these sound delicious. I would love to serve these with sour cream or some kind of ranch dip. Potato wedges are one of my favorite way to eat potatoes. They get so nice and crispy in the oven! Love your spice mix! I’m saving this recipe! Potato wedges and sweet potato fries are about the only thing I can cook. They look amazing. Thanks for the lovely recipe! We love a good plate of this and it would be nice to make more at home! I love how easy these are to make (and just the right seasoning)! They go with so many dishes! Oh, I am badly craving for this. This is so good, this will be a huge hit!This is my kind of weekend treat. 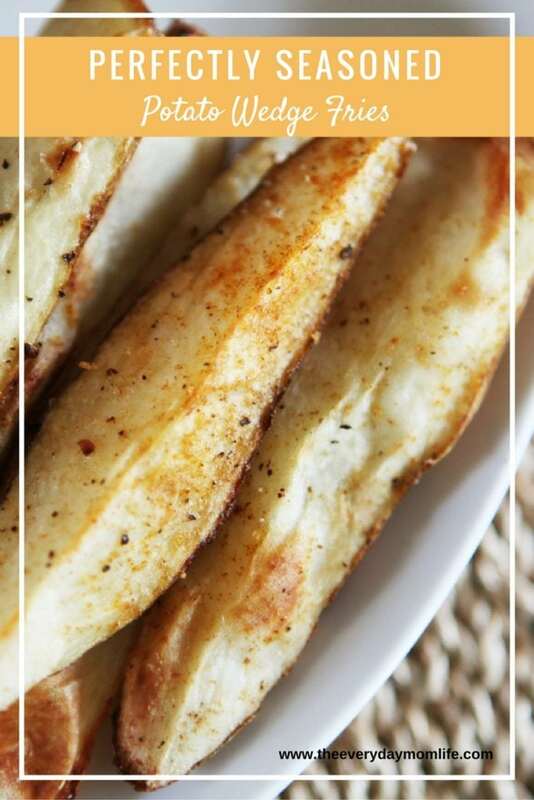 These potato wedges look perfect, indeed! My son will love these! This is a great recipe. I never thought of adding paprika garlic and pepper I bet that tastes lovely together. Great job and thanks for sharing this recipe with us. I will be trying this recipe soon. I love baking potato wedges as a side. These look so delicious! I love potato wedges, super yummy! We love eating potatoes in my house so I will need to make these with dinner one night soon! I really enjoy potato wedges, but have always struggled with finding the right spice and seasoning blend. Also, cooking time can be tricky! Thanks for the great recipe. I think I’ll try this with sweet potatoes too. These sound amazing and i like that you season them yourself so you know what is on them. I do something similar all the time but never thought about using paprika. I might need to try that next time! I love your baked potato wedges recipe. I’ll do this tomorrow in my kitchen. I don’t eat potatoes or I mean I’m not suppose to eat potatoes but, when I do I make them cut like this with salt or regular baked potatoes. This seasoning mixture would boost the flavor of my plain salt though. Since I don’t eat them often I like to feel like they are a treat, let’s hope this does! 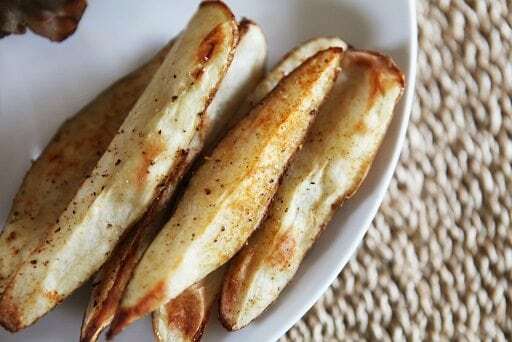 Potatoe wedges look Yummy. Perfect seasoning surely helps to get the better taste. These look so good, if I weren’t trying to avoid potatoes I would 100% make these.